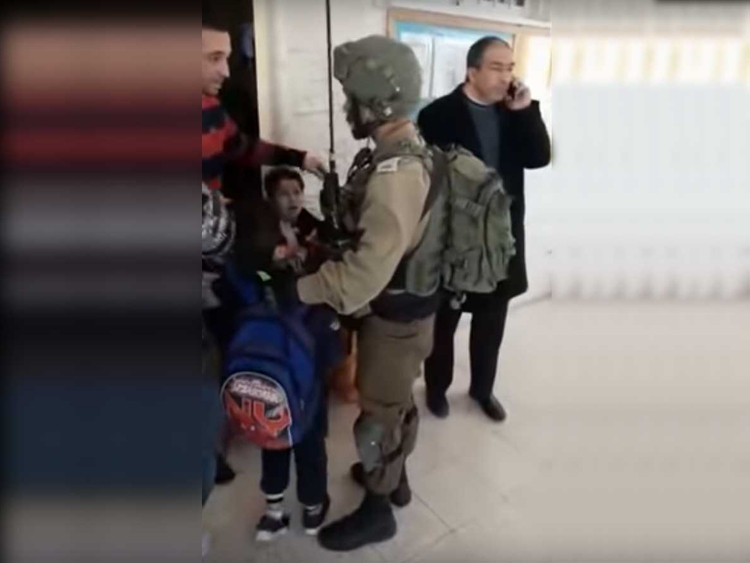 Dubai: A video showing a 9-year-old boy being arrested at the door of his classroom by members of the Israeli army went viral on social media. The video shows the boy's teachers trying to stop the arrest. The clip, shared on Youtube on March 20, initially went viral as people thought that the boy was the brother of martyr Omar Abu Layla. Last week, Omar stabbed an Israeli, took his car and then attacked a group of Israeli soldiers, killing two and injuring more than three others. Omar was later killed by the Israeli army. Later, it emerged that the video published was of someone else. First, the video was taken on March 18, a day before Omar was killed. The school in the video is in Hebron, while Omar was from another area. The boy in the video, identified as Zain Abdeen Ashraf Idriss, 9, was accused by the soldiers to have thrown stones at them before going to school that morning. The video shows soldiers inside a school conducting an operation to arrest Zain and his younger brother, Taim. The teachers intervened and saved the younger one from arrest, but couldn’t stop them from arresting Zain. Local media reported that the civil affairs and the Palestinian military liaison office had intervened. Zail was released later in the day after he was reportedly beaten by the soldiers and threatened with weapons. Last year, Palestinian-based human rights group Addameer has reported that there are currently 270 Palestinian child prisoners being held in Israeli prisons. At least 50 of them are under 16 years old.